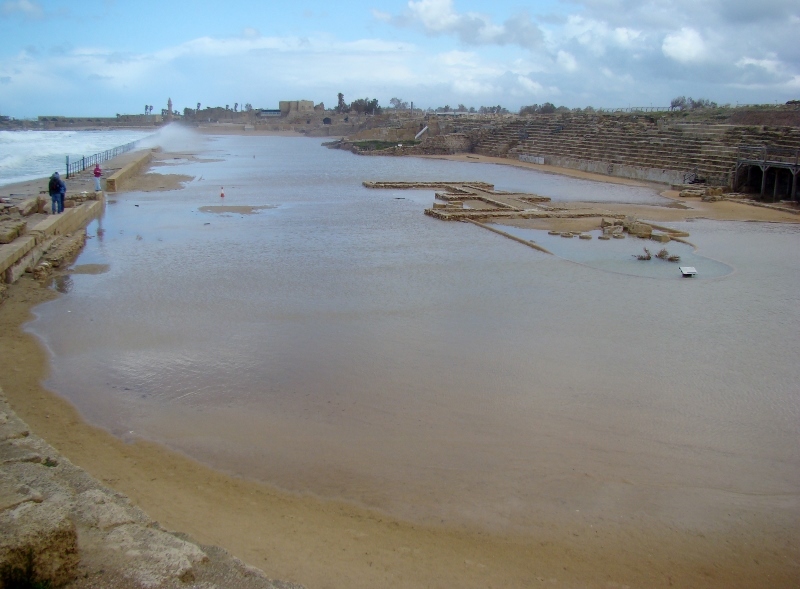 Herod the Great (reigned 37-4 BC) built a hippodrome at his capital city of Caesarea. 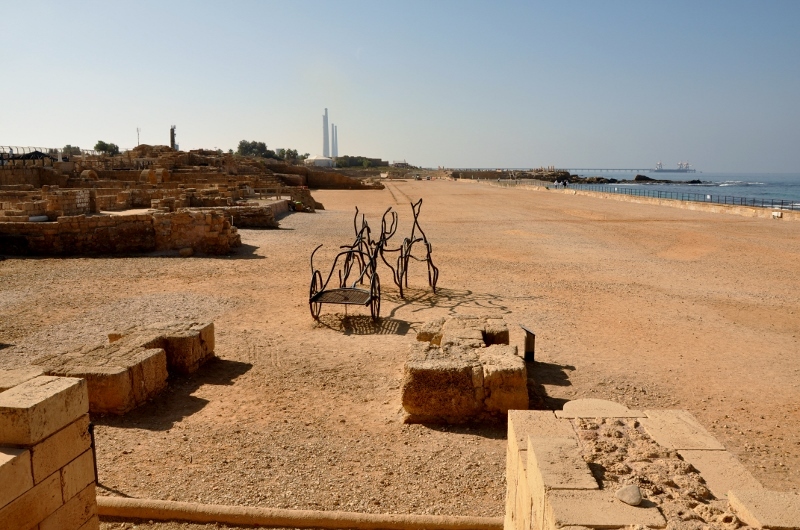 Hippodrome at Caesarea. Photo by Leon Mauldin. Herod’s hippodrome would have seated about 10,000 spectators. The above photo was taken just two weeks ago. When I was here two years (Spring, 2011) ago this area was under water. Much damage along the coast here had been done by storms. Hippodrome Spring 2011. Photo by Leon Mauldin. This photo was taken at the opposite end of the hippodrome. Hippodrome. A course for chariot-racing, the prototype of the Roman circus. Like the stadium, it was long, narrow and elliptical, but straight at the end from which the racing started. Like all other similar public buildings the hippodrome was an offence to pious Jews and most of the cities referred to above had a primarily Hellenistic population. Only Taricheae had a Jewish population, though the upper class was Hellenized. In similar conditions, Herod had a hippodrome constructed in Jerusalem (Josephus, Antiq. xvii, 193), probably in the Tyropoeon valley. This entry was posted on Tuesday, October 29th, 2013 at 10:51 PM and is filed under Bible History and Geography, Bible Study, Caesarea Maritima, Israel, photography, Travel. You can follow any responses to this entry through the RSS 2.0 feed. You can leave a response, or trackback from your own site. I really like the picture of it with the water. It was dry when I was there in September of last year. Van, thanks for writing. I’ve only seen the hippodrome covered with water once, due to unusual storming. It is interesting to see biblical sites at different seasons of the year. Intriguing photos! In the top (“dry”) picture, is the twisted metal in the center of the photo just a modern effort to prevent people from falling into ancient holes? Do you know the function of the hole(s) (is it a Herodian well or cistern)? Thanks so much for posting these images! Hello S Brun: I appreciate the feedback. See my post for Oct. 31 to answer your questions.